Stone Lake Elementary School is offering free preschool for three and four year old children this school year. What does this class look like? The class is a highly structured developmental preschool program for typically developing students and peers with special needs. 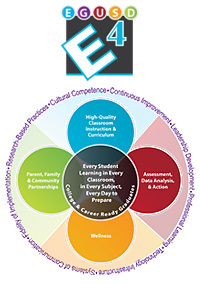 What are the key components of the program? This program provides an opportunity for children with special needs to learn and play alongside their typical peers. The class is taught by a credentialed teacher alongside paraeducators in the class, and this ratio of staff to students helps create an effective learning environment. The curriculum for the class is adapted from district adopted programs in order to prepare students for entry into kindergarten. Are there income requirements for this class? 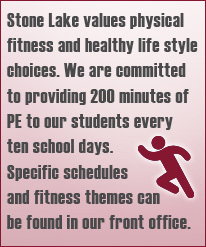 There are no income requirements or limitations, just that you live in the Stone Lake attendance area. What are the days of the class?